Here's a nice one of her as France! Last edited by SaintsFCFan; December 29th, 2008, 02:10. Here the link with they ... 114 Photos from " LIFE © " over the life onboard the s/s FRANCE !!!
" BON VOYAGE " !!! This is my : " Cadeau de Noel " ( Christmas Present ) Captain STORLI ! Here 17 photos from the Bow of s/s FRANCE in Saint Nazaire ... 1961 !!! Of course they photos are from : " LIFE © "
Amazing shots in every respect of the word. Thank you so much for sharing them with all of us: the perfect Christmas present. Here 2 links from s/s NORWAY in the Caribbean ! "I may not be able to control the wind, but I can adjust my sails." she was such a beauty! I love the color pics of her as the France! It's great to see some interior pics in color! I think the red/white/black color scheme looked best on her. Here they last 4 photos ( aerial views from the Skyline ) from the Maiden Arrival in NEW YORK ( February 1962 à from : s/s FRANCE ) . A marzipan portrait of the " Mona Lisa " , made by Chefs of Liner " France " !!! Here on : Shipspotting a photo from s/s FRANCE !!! If you go on : " Full Size " , you can seen the Captain ( Storli of course ) . Not me this time... but WAOW, that was an amazing image of the most beautiful vessel ever to be constructed! Thank you very much Noel for finding that one! France/Norway is always a beautiful ship but I especially like the photos before she had the extra deck added. Now that's.... a big photo!! A beautiful photo of her. 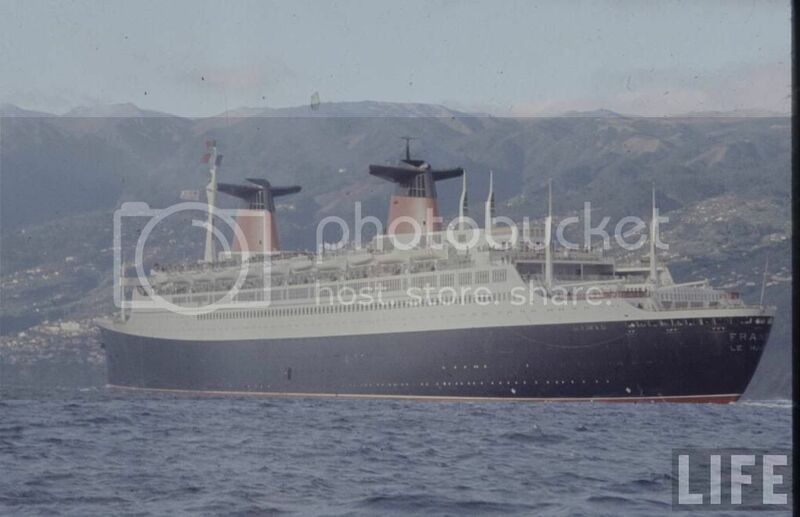 sigpicI will never forget the lovely grand SS NORWAY. 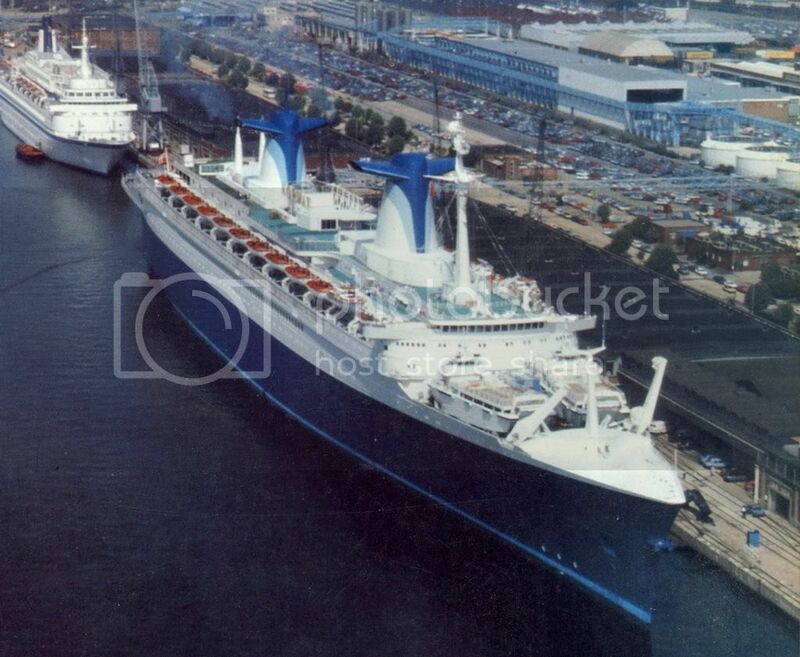 Past Cruises on her: August 22, 1992. June 4, 1994, April 7, 2002.
the boiler room disaster of May 4, 2003 took her out of service. Thank you so much, enjoyed that peak a lot! I'm not even sure what date this is, nor am I sure where I came by it. All I know is I've had the photo for a long time now. My, does she look pretty! !